Countefeit detector for Euro & GBP notes. Update & Upadatable. 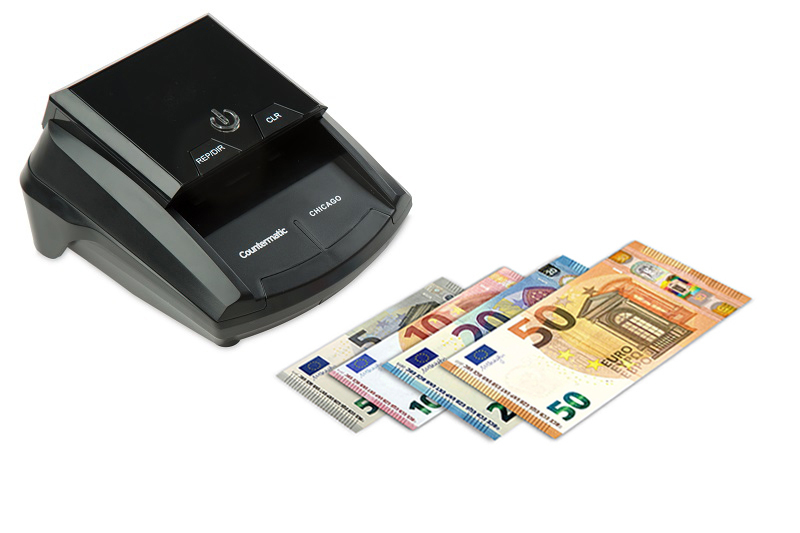 The counterfeit banknote detector can test two currencies: EURO & GBP. The Euro is the default currency and detects and calculates a second currency. 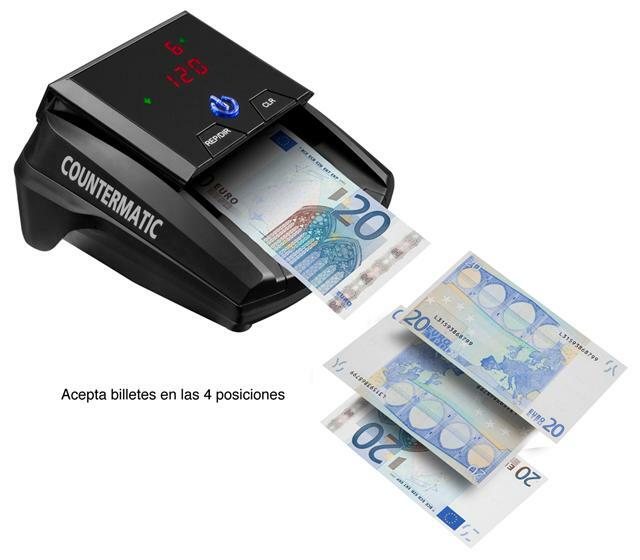 Moreover, the counterfeit note detector automatically recognizes the currencies. It's already prepared to detect the New Euro notes of the EUROPE SERIE. The values of each tested note is shown on the screen. Acoustic and visual signals are shown when a counterfeit banknote is detected. It has a compact design, small in size and useful for use at the tills. 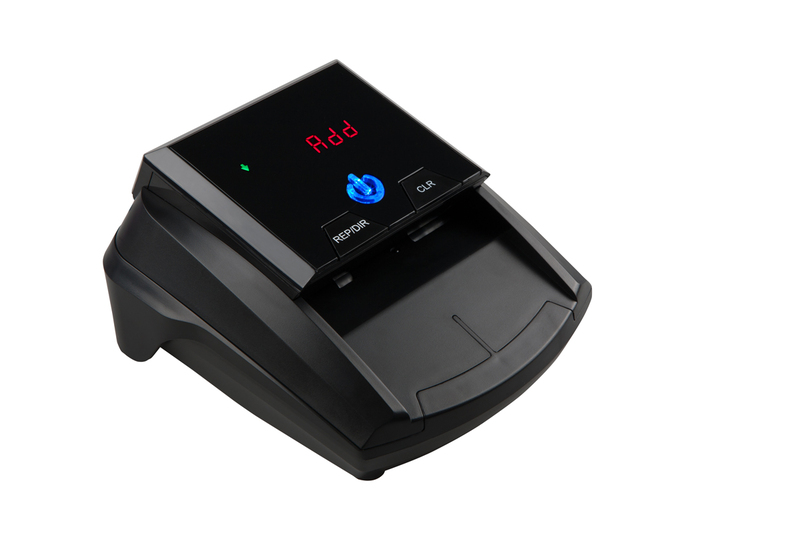 The counterfeit banknote detector New Chicago identifies Euro and British Pounds notes which can be loaded in any of the four orientation of the notes. It identifies notes in only 0.5 seconds. 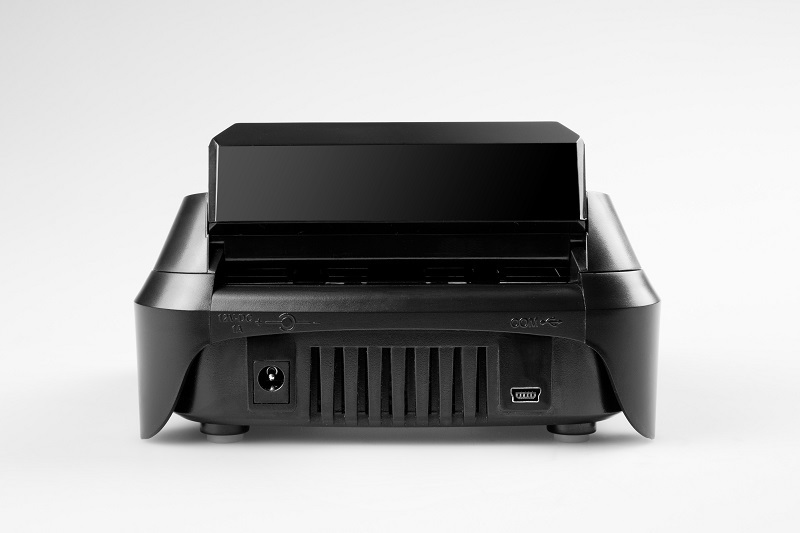 The note detection uses seven different security elements: magnetic ink, magnetic threads, infra red, watermarks, thickness, width and length. 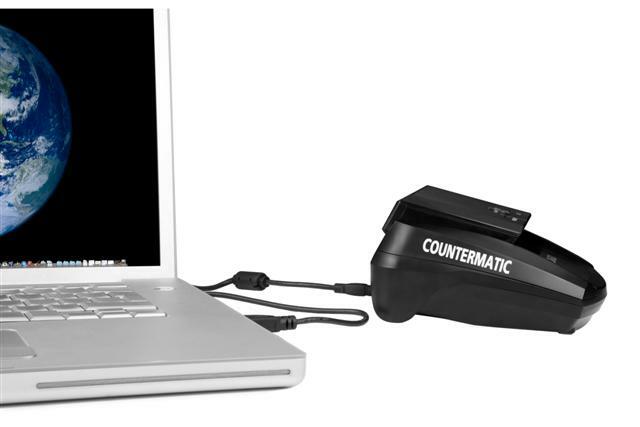 The Counterfeit banknote detector's software is updatable through USB port. The USB port is on the back of the device. Please see photo gallery on the top right hand side. The software can also be updated through an SD card. The NEW CHICAGO counterfeit banknote detector, when the DEN function is used it only displays the value of the last note tested. This function omits the total value of notes tested during the day. When the ADD function is used the total value of all tested notes is shown on the counterfeit detector display.